New tablet and possible Xbox SmartGlass integration could make things interesting for Nintendo. Microsoft's Xbox SmartGlass technology, revealed during the company's June 4th E3 press conference, was viewed as a weak attempt to compete with Nintendo's Wii U console, which comes with a tablet-style controller featuring a screen capable of displaying games and interacting with games on a television. 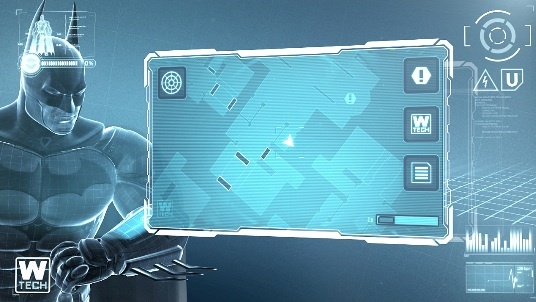 The software giant provided a couple examples on how SmartGlass could enhance Xbox 360 titles, most notably with ship schematics and other useful bits of data in Halo 4, but there was little to get fans excited. Sure, SmartGlass will debut across iOS and Android, but how many developers plan to utilize it, and will gamers pick up an iPad while also using a standard controller to enjoy their favorite games? Microsoft Surface will come with a better screen than Nintendo's Wii U controller. The answers to these questions won't materialize for several months, but we moved one step closer with yesterday's announcement of Surface, Microsoft's surprise tablet that not only poses a potential threat to Apple's iPad, but also Nintendo's hopes to dominate with Wii U. No reason to dance around it: Microsoft Surface should come with Xbox SmartGlass pre-installed, along with Xbox 360 connectivity occupying a space on the tablet's interface. This gives Microsoft the opportunity to have SmartGlass up and running on its own device, rather than tinkering behind the scenes to get the app working effectively on Android. Depending how the company plays this, it could be a headline feature for Surface, capable of matching many of the Wii U controller's features, from gyroscope control to wirelessly beaming games from the device to an HDTV, and vice versa. This may spell bad news for Nintendo following a disappointing E3 where the Wii U controller wasn't as well-received, thanks to lackluster demos with the screen displaying maps and inventory screens, uninspired ideas that Surface should have no trouble emulating, which is the biggest problem Nintendo faces: coming up with enough features exclusive to Wii U, things Microsoft won't be able to achieve using an Xbox 360 paired with Surface and SmartGlass. Features in Batman: Arkham City for Wii U could potentially appear on Surface via Xbox SmartGlass. Naturally, this perceived threat will only be realized if Microsoft invests the resources into making SmartGlass a viable alternative to Wii U. First, it needs to convince shoppers to drop the iPad, a potentially colossal task. Second, it must then convince developers to use SmartGlass in ways that benefit players. Third, it must combat and even defeat Nintendo at its own game. Not easy by any stretch. Where Microsoft has an advantage, its ace in the hole, is iOS and Android, at least when it comes to competing with Nintendo. As we mentioned, SmartGlass doesn't need Surface to operate, allowing Microsoft to bypass the competition with Apple while putting this software on the competition's products. To that end, why bother purchasing a Wii U if you already own the iPad? 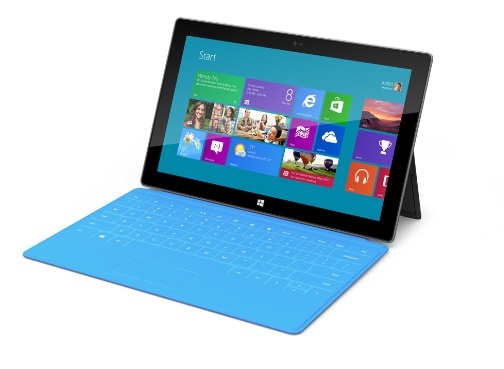 Of course, it all comes down to the games and how Surface/SmartGlass works with them, if at all. On that note, Microsoft has a long way to go before Smart Glass is a success, with Surface right behind it; getting the message out may prove difficult. That said, it would be foolish of Nintendo to be dismissive, and what the Japanese publisher reveals from now until launch may play a critical role in Wii U's appeal moving forward.